Deputy Director of the Shanghai Development and Reform Commission Zhu Min made the announcement at a press conference on promoting high-quality development on Wednesday in Shanghai. Although Zhu didn't reveal the exact location of the new FTZ, Suzhou Industrial Park in East China's Jiangsu province is expected to be the spot. Suzhou Industrial Park said to a CBN reporter the FTZ is a national-level plan and the park hasn't got any news yet. Zhu emphasized the Shanghai Pilot Free Trade Zone should cooperate with other FTZs in the Yangtze River Delta to play a greater role in leading high-quality development in the region. 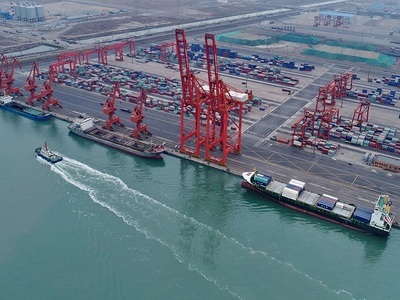 The Shanghai Pilot FTZ will be the first to lift foreign ownership limits on banks and financial asset management firms and strive for the first landing of new financial business licenses for licensed financial institutions, Shanghai Securities News reported. With 3.85 percent of the country's land, the Yangtze River Delta region produced nearly one-fourth of China's GDP and one-third of its tax revenue. With the building of a new FTZ in the region, mega-city clusters will be an important conduit for high-quality development, according to a report from RMB To Global, a reminbi trade and research institute.